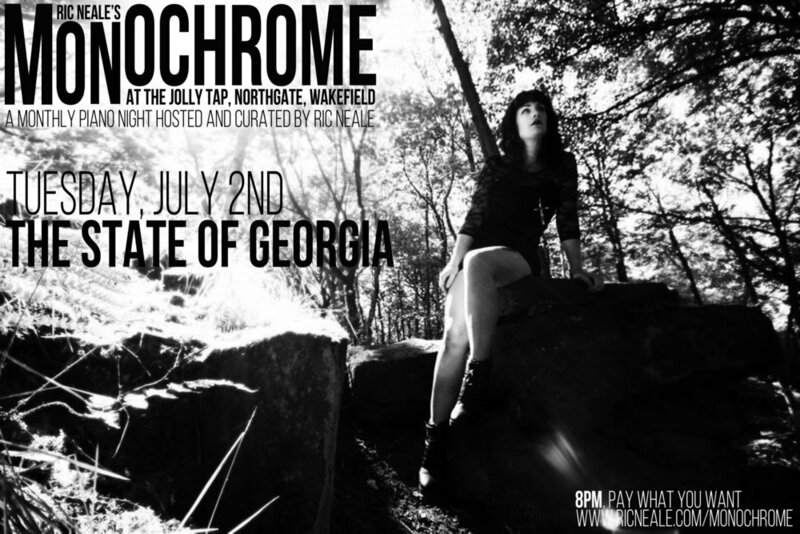 Monochrome is an intimate monthly piano night curated by musician Ric Neale at The Jolly Tap in Wakefield. 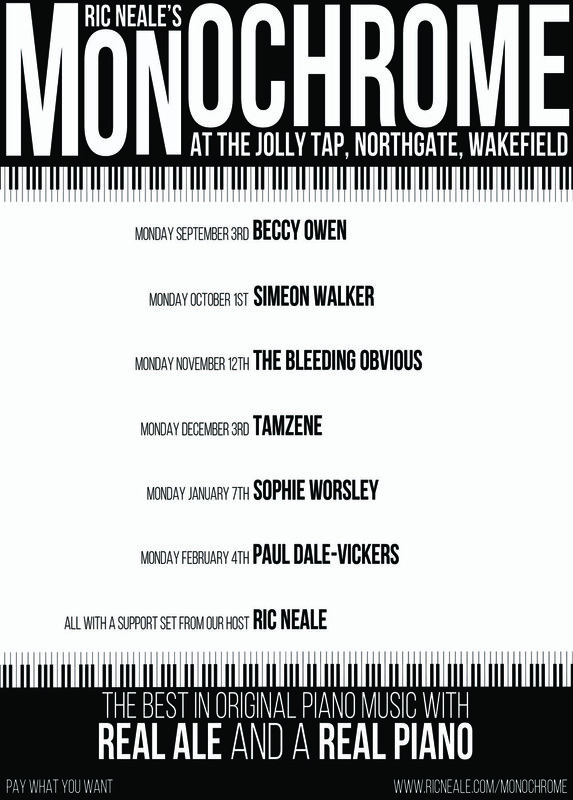 At each show Ric will do a support slot and then a featured artist will do a set on the piano in the bar. They show starts at 8pm and it's Pay What You Want. See below for details on all the amazing artists. Ric Neale is a singer, songwriter and piano player. He has released a series of solo albums including “All That Counts”, “Pencil” and the parenting song cycle “Lullabies For Parents” with which he has toured extensively. He has also recorded and toured his one man version of the Beach Boys classic album “Pet Sounds”. Ric has also worked in theatre as the Musical Director, main songwriter and actor in the show “Dancing Bear” which garnered rave reviews for its performances at Manchester’s Palace Theatre and The West Yorkshire Playhouse in Leeds. He and spoken word artist Rob Reed wrote and performed the theatre piece “Never Worn” at a number of literary festivals and, with his band The Housekeeping Society wrote and performed the soundtrack to “Dancing With The Orange Dog” at The Lowry in Manchester and The Arc in Stockton. Two songs Ric co-wrote got into the top ten of the UK Songwriting Contest in 2013 and he was invited to write a segment in Andrew Dubber’s book “The 360 Degree Deal”. Heir are a DIY-pop band from Leeds. Their organic songwriting, infectious rhythmical hooks and powerful vocal harmonies have propelled the five-piece to striking independent success. After hitting viral figures on Spotify with their debut single, ‘I’ll Pick You Up’ they have since performed at Reading and Leeds Festival, worked with producer Ken Scott (The Beatles, David Bowie) and launched their own collaborative arts night, ‘Blueprint’. 2019 sees the band head out on a UK and European tour with new releases, including Restless and Better in Silence - mixed by Geoff Swan (HAIM, Metronomy, Coldplay). Henry Bateman’s music falls somewhere between the worlds of ambient, progressive rock and folk musics; somewhere between Peter Gabriel, Neil Finn and James Taylor. He’s doing his own thing; at the age of just 22, he's already releasing his third solo album ‘Hide & Seek’ this spring. 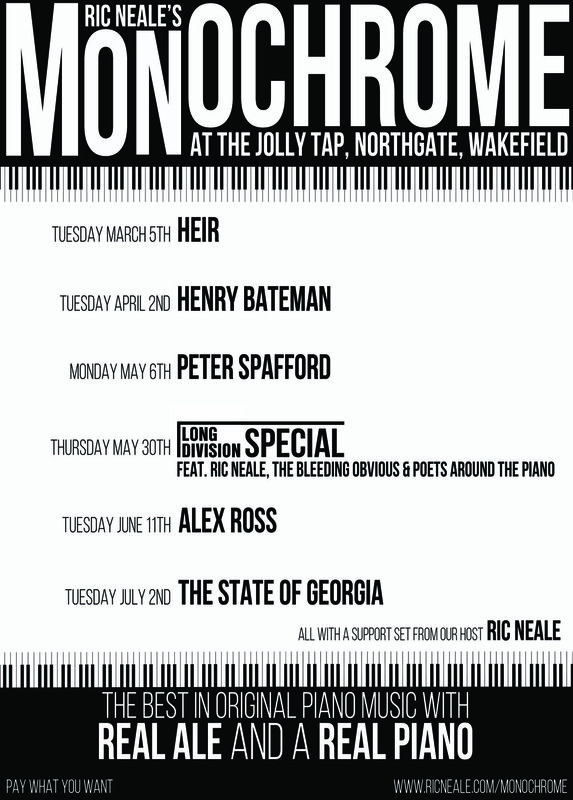 For ‘Monochrome’, Henry will take some of it’s most ambitious arrangements and strip them bare; performing them as as part of a rare solo piano set. In 2018, Henry graduated from the UK’s largest and most burgeoning music conservatoire, Leeds College of Music, with a First Class Honours Degree in Popular Music Composition. It was here he was also awarded the Conservatoire Prize for Popular Music in 2017, and for Songwriting in 2018. Peter Spafford is a playwright, poet and songwriter. He is one third of Schwa with Richard Ormrod and Jacqui Wicks, and has just finished recording The Weight of Smoke, a set of songs using the words of Walter Raleigh, with Dave Bowie Jnr. He has written 7 plays for Radio 4 and 6 musicals. 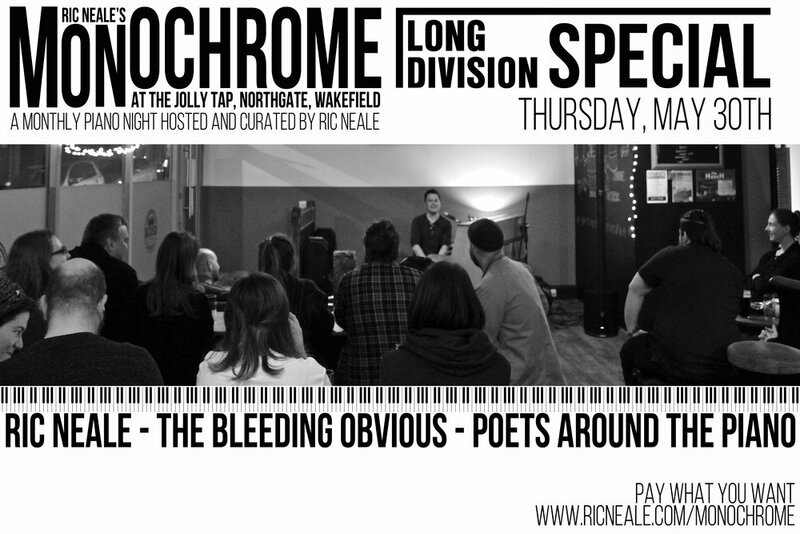 Wakefield’s long running, award-winning music festival, Long Division runs once more this year and MONOCHROME is running an exciting satellite event the Thursday before the festival. 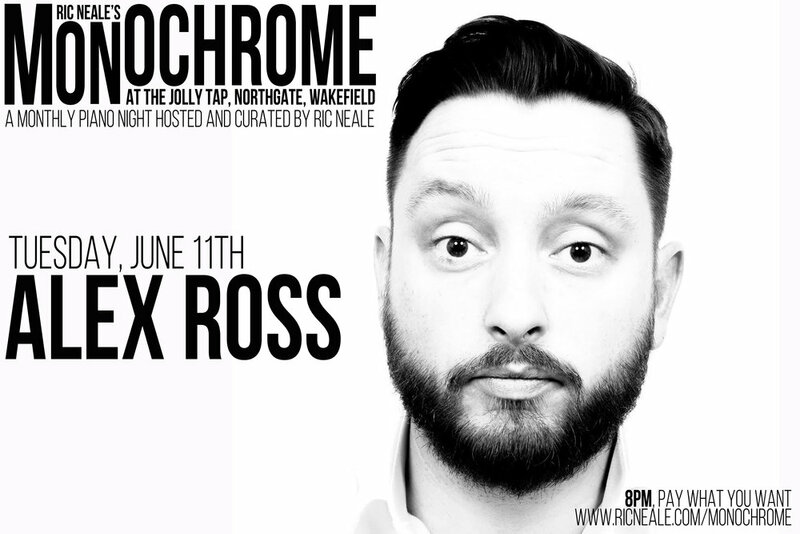 This special show will feature our host Ric Neale, The Bleeding Obvious and a special feature “poets around the piano” which will invite some of Yorkshire’s top spoken word performers who will share their works with an improvised piano score. The State of Georgia is Singer / songwriter and pianist Georgia Jakubiak. Georgia has self released four studio albums, the most recent “Roses and Swallows” includes single “stay awake” which gained radio plays on bbc6 music and bbc introducing. Last year she released a collection of traditional folk songs for her Dad which has been selling world wide. Georgia’s most recent gigs include the medal ceremony for the para athletics in London’s Olympic Park and a festival for ‘King’ in Barcelona. Her melodic piano pop and heart felt lyrics are reminiscent of Tori Amos and Regina Spektor. Georgia only plays special gigs like this one since having her two boys and is currently working on her next release. Ric Neale is a singer, songwriter and piano player. He has released a series of solo albums including “All That Counts”, “Pencil” and the upcoming song cycle “Lullabies For Parents” with which he has toured extensively. He has also recorded and toured his one man version of the Beach Boys classic album “Pet Sounds”. Ric has also worked in theatre as the Musical Director, main songwriter and actor in the show “Dancing Bear” which garnered rave reviews for its performances at Manchester’s Palace Theatre and The West Yorkshire Playhouse in Leeds. He and spoken word artist Rob Reed wrote and performed the theatre piece “Never Worn” at a number of literary festivals and, with his band The Housekeeping Society wrote and performed the soundtrack to “Dancing With The Orange Dog” at The Lowry in Manchester and The Arc in Stockton. Two songs Ric co-wrote got into the top ten of the UK Songwriting Contest in 2013 and he was invited to write a segment in Andrew Dubber’s book “The 360 Degree Deal”. Beccy Owen is a singer/songwriter based in the North of England who has released five solo albums (a sixth is due for release in early 2019.) She's writing this bio in the third person to appear more aloof and credible. Following a decade working as a musician, UK-based pianist and composer Simeon Walker has quickly emerged as a leading light in the burgeoning Modern Classical scene in his own right, following the release of his EP Preface (2016) and his debut full length album Mono at the end of 2017, followed by an 8-date European Tour and airplay for his latest single ‘Shelter’ across BBC Radio 3. 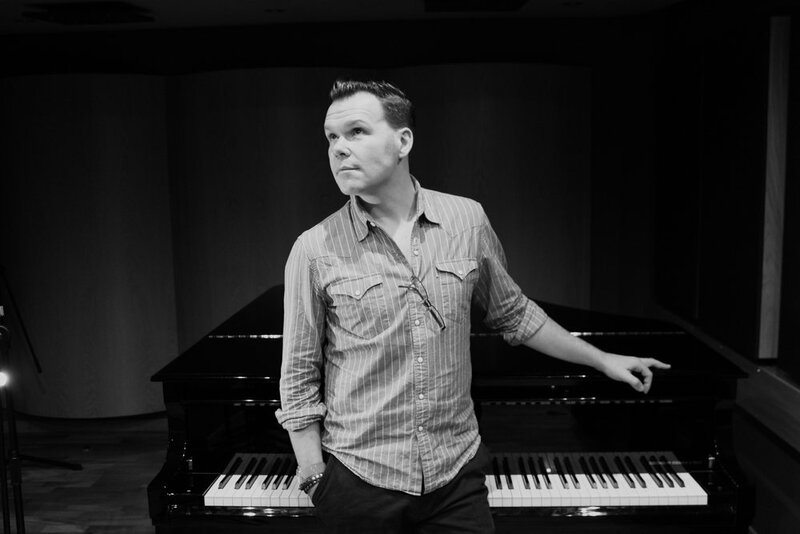 With consecutive official Piano Day playlist features and numerous glowing reviews from across the music world, Walker’s calm, introspective piano instrumentals invite the listener to find stillness and beauty as much in the spaces between the notes as the notes themselves, as musical stories are woven with each tender, intimate performance. "A rabbit-hole of genres" is just one of the phrases used to describe the music of The Bleeding Obvious: the monicker of British musician, composer and producer Jessica Rowbottom. A former chorister at Wakefield Cathedral, Jessica principally plays piano and keyboard but her skills also encompass accordion, guitar and drums as well as a variety of home-built and circuit-bent electronic devices. The styles encompass everything from pounding electronic club beats to orchestral soundscapes and soulful funk-pop - the music is emotional, reflective, joyful, frequently dark, almost autobiographical in places. Her internationally acclaimed self-titled debut album The Bleeding Obvious was released in November 2016 where single track "Splendid!" receiving favourable radio play from the likes of BBC Radio 2 alongside local radio stations. It featured a variety of singers including Ruby Macintosh, Scott Wainwright, Ralph Dartford (A Firm Of Poets), Jacqui Wicks (Schwa) and Anthony Jackson-Stubbs (Paleday). Musicians from as far as St Petersburg and Seattle appeared, as well as a small orchestra assembled specifically for the occasion. Throughout 2017 and 2018 Jessica toured her new work Rainbow Heart, a one-woman musical cabaret show and album exploring the coming-out process for LGBTQIA+ people through music, spoken word and comedy. Tour dates included Brighton, Nottingham, Birmingham, Leeds, Bristol and Manchester and the show was part of Pride In London Festival 2018. The recorded album itself includes talking-heads segments alongside more traditional songs; almost a hundred people of varying sexualities and gender identities were interviewed to form the work. Late 2017 Jess released a standalone track "The Last Thought" in time for the Christmas season, a gentle song about being thankful for the support of a loved one, and in March 2018 she released an EP of remixes from the first two albums titled The Spectrum EP - her first release with a live band. Jessica is openly lesbian and lives in Wakefield with her wife, their assorted offspring and her project studio. TAMZENE is a singer-songwriter from the coastal town of Cromarty in the Scottish Highlands; she started learning piano and violin when she was eight years old, encouraged by her saxophonist stepfather and salsa teaching mother. Aged 14 she further extended her musical dexterity by picking up guitar and embarked on writing her own material. Her early influences came from hearing the Roberta Flack, Aretha Franklin and Eva Cassidy songs played around the home- and quickly progressed to immersing herself in the sound of artists including Nina Simone, Birdy and Alicia Keys. Having spent the last year building her live profile across a host of venues and festivals, she is currently a full time student at Leeds College of Music. 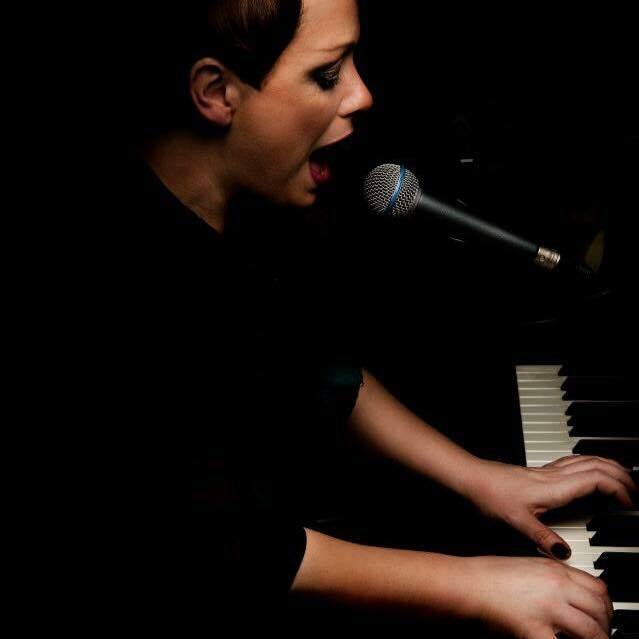 Sophie has been in Leeds for 6 years, writing and gigging her original music. Having trained at the Sylvia Young Theatre School in London, she has a musical-theatre background, having performed as Jane Banks in the West End production ‘Mary Poppins’. Sophie is now working on her own music, with influences such as Sara Bareilles, Joni Mitchell and Neil Young. Paul has been writing and performing original music for years, more recently as a soloist and for a number of years with successful indie band 'Go Cadenza'. Paul has also performed West End Musicals and composed music for a number of successful theatrical productions.